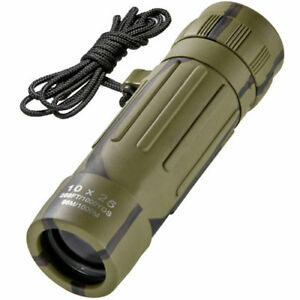 10x25 Lucid View Camouflage Monocular is the perfect blend of functionality and compact portability. The Lucid View Monocular offers great style and value wherever you go. 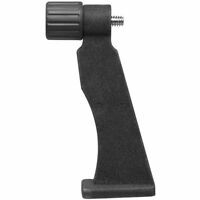 The multi-purpose function of this monocular means it can be used out in field, when watching sports events, backpacking, or camping. The fully coated optics provide high contrast and bright images. Stylishly design with rubber armor for a firm, secure and non-slip grip. The compact and lightweight size means it can be easily stored almost anywhere and you can always have it handy. Lucid View is small in size but offer undeniably big in value. There are 1,512 items available. Please enter a number less than or equal to 1,512. I got these at auction price from the seller. These are my first monoculars, and I got to say the quality on the item is good. The item itself is built well, has a good weight to it for its size. The lenses are clear and provide a good view for whatever you're looking at. These are perfect for someone who's wants to start bird watching or just needs a monocular for whatever else. I highly recommend this product. Trust me, it's made in China and vision is blurry. I bought this as a gift for my dad and he loves it!